This is undoubtedly one of the most important days of you and your child’s lives and we offer packages specifically designed for this special occasion. We’ll help you do more than create a special event…we’ll help you create a memory. Name in Lights. 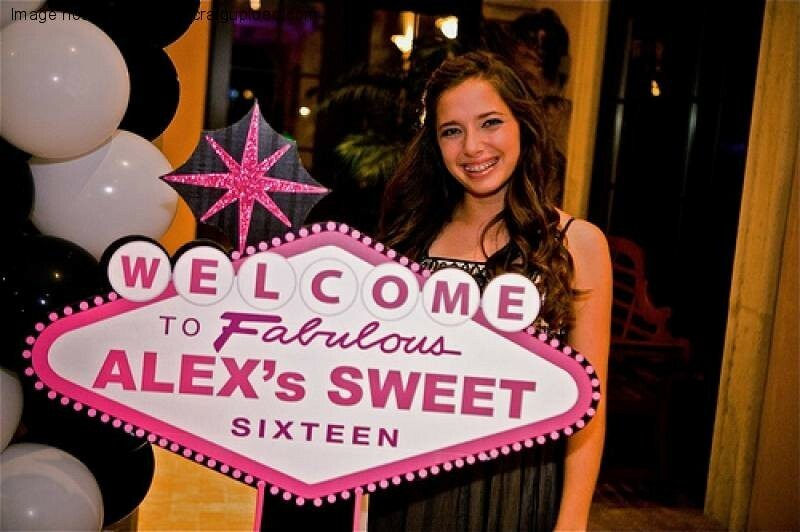 What separates Kool Kat and it’s competitors is that each “name in Lights” design is made only for your Sweet 16. Describe your theme, tell us your favorite fonts, popular designs and we can create your ‘Name in Lights’ display from scratch. Or we can use your invitation as the inspiration for your “Name in Lights” gobo. Each design is approved by the Sweet 16 guest of honor and her family. If you’re looking for a professional DJ for your sweet 16 than you’ve come to the right place. Kool Kat DJ’s can provide you with everything you need in order for your party to go exactly how you want it to. We offer a variety of different packages that can include, intelligent club lighting, extended sound systems, video, video montages, photography, special photo shoots for you and your friends to capture the evenings memories, giveaways, games available upon request, themed parties, and special party planners that can help you put together the sweet 16 of your dreams. If you can think of it than we can make it happen. You can customize your party any way that you would like and we are here to help. Please browse the rest of our website for party ideas, information, planning forms, and song suggestions. Feel free to call us if you have any questions. What is a Sweet 16 about? Having a Sweet 16 Party is a big event in a young girl's life. It signifies being on the threshold of adulthood. No longer a child and not yet a grownup. I have never planned a Sweet 16 before, do you mind if I ask you a few basic questions? Most people planning a Sweet 16 party are doing so for the first time. We urge you to ask as many questions as you want. We are here to work with you every step of the way. How many hours should a Sweet 16 last? Every client receives a personal online party planning page in the client login area. There, you have the ability to make a request list as well as create an event timeline of your party. You and your guests also have the ability to text music requests during your event to the DJ! The Candle Ceremony is a Traditional part of many Sweet 16 parties. This is an opportunity for the Sweet 16 to highlight those people who are closest to her and have significantly affected her life. It is a general practice that the Sweet 16 write a speech for each person or group of people who light a candle. The Sweet 16 can write speeches online so the DJ will have a back-up on the night of the event just in case. *Not all Sweet 16's have Candle Ceremonies. It is your choice as the party planner. 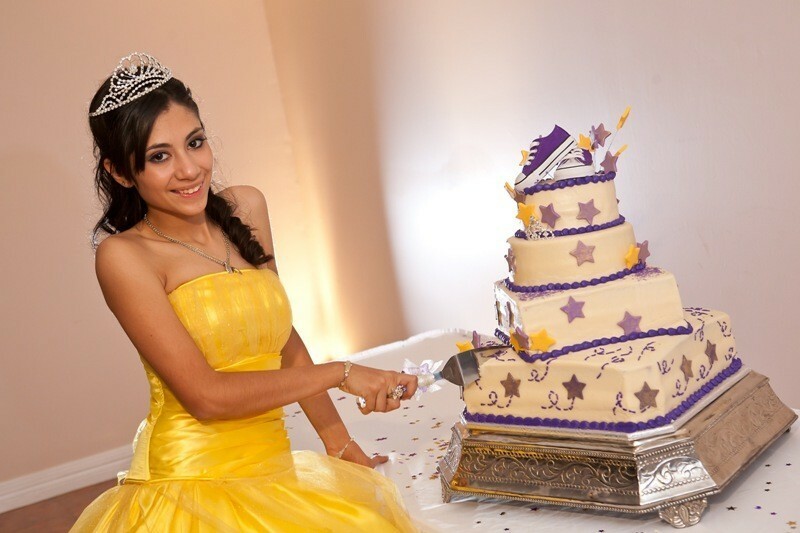 Kool Kat Entertainment can provide the BEST entertainment for your daughters Quinceanera with a great mix of music from pop music to Salsa, Cumbia, Reggaeton, Merengue, Tejano, Mambo, Rancheras, and more. We have Bi-lingual DJs available to play the music you and and you and your guests want, follow your event timeline, plus make any announcements in Spanish and English, if requested. 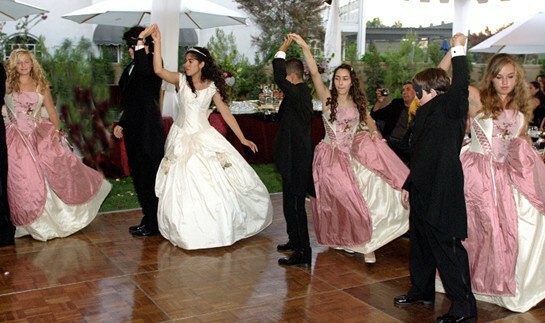 Our professional entertainers, your Quinceanera DJ's , are very knowledgeable, personable and interactive. They will take your requests and play the music you want to get everyone involved to make your event a night to remember. Birthdays are a great time to celebrate and the perfect opportunity to celebrate life itself. Kool Kat Entertainment Entertainment can help ensure that you get the most out of your birthday party celebration. With an attention to detail and the right choice of music, our entertainers can take your birthday celebration to the next level. Our energetic, entertaining, and professional DJ's will play music of any style for any age group. From elegant, formal events to zany, interactive dances, we can cover the entire musical spectrum to insure the success of your Birthday party! Our Master Entertainers can make it special and memorable. Our commitment to excellence and unsurpassed attention to detail are the reasons you will want us to assist in the planning of your birthday party. Kool kat can provide many options in addition to the disc jockey services for your Birthday event to ultimately create a birthday party to remember. Add our Videography service and exclusive PixVid (Picture-Video Montage) service at your event to have and to share your birthday celebration forever! Ask your entertainment sales specialist about these options plus many others too. Milestone Birthdays are cause for special create memories parties! They only happen once in each person's life, whether it is their 21st, 30th, 50th, or 90th birthday. A few easy ideas can turn your special birthday party into a memorable celebration for both the honoree and your guests! A birthday celebration at any of any milestone age is essential. The celebrant may not feel as young as he/she used to and will welcome a celebration. A great theme for any adult birthday party is Good Old Days celebration, where memorabilia from childhood through adulthood is incorporated throughout the entire party (using PixVid). Surprise parties are always an option, as they may not be expected at all ages, but can bring the most fun to everyone. Whatever you decide upon, it's bound to turn an age-old event into acelebration of a lifetime. Add Karaoke (Optional, but no extra charge). It's a blast! You and your guests can test out their vocal skills in front of everyone singing along to the thousands of instrumental titles in our Karaoke music library. We'll bring the TV monitor so you can see the lyrics and the microphones to use wired through our sound system. We'll even bring the music books so you and your guests can pick their favorite tune to sing! Additional equipment/service fees apply in addition to standard Disc Jockey services.